Posted on October 24, 2017 at 6:33 am. Tiles are connected together and to the underlying floor with grout. The process of installing the tiles must be undertaken correctly lest this grout finds its way onto the tile surface. If a tiled floor has grout on the surface it will look slightly dull, not shiny as new tiles should be. Furthermore, the surface grout will attract dirt. So the floors will be almost permanently dirty. Tile Installers should give tiles a mildly abrasive treatment shortly after the tiles are permanently set in place. This will remove the surface grout and give the tiles a natural looking shine. Once this is done the tiles will be relatively easy to keep clean. The good news is that this initial clean / polish need only be done once. Tiles can also have cleaning problem if anything else is left on the surface. One semi-common problem here is detergent. Ironically, detergent left on the floor will attract dirt and grime, making the tiles almost perpetually dirty. If you suspect there is detergent on out tiled floor try scrubbing with warm water. If the surface develops soap bubbles or a lather then there is detergent there. This is keeping the floor permanently sticky, and retaining dirt and grime. Using heavy duty grout cleaner will remove detergent left on tiled floor. Some people also find that vinegar, vinegar with bi carb of soda or other mildly acidic cleaners will remove soap scum and detergent. 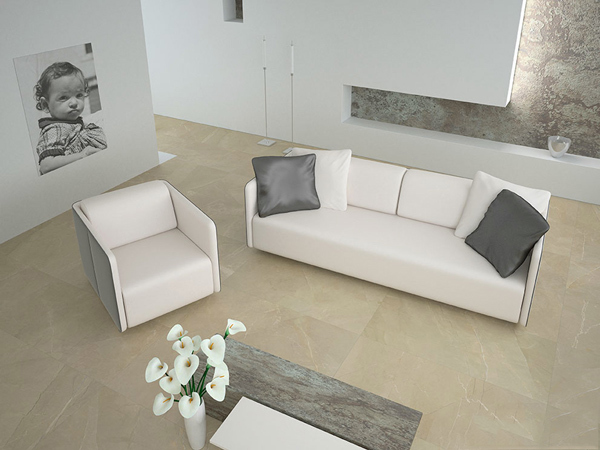 Mass production techniques and modern technology means good quality tiles are moderately priced. And with minimal maintenance they will last for decades. Check out our range. Good quality tiles are affordable and long lasting.